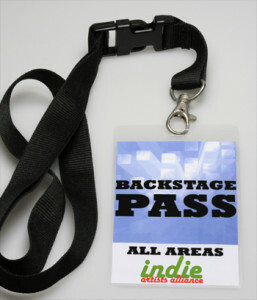 Music Resources for the Independent Musician, Writer, Poet, Visual and Performace Artists. Joining is absolutely free….we would appreciate a donation though. Once you subscribe, you will have access to all of the items on your personal dashboard. Regional and national compilation of contests anywhere. Purchase, manage and register barcodes and promote your music project on IAA. College Radio Guide with contact information. Indie Artists Alliance has developed the most up to date listing of U.S. College Radio Stations. That doesn’t mean there are no other exposure opportunities out there. One avenue for Indie artists to get their tunes spun on the airwaves is college radio. There are hundreds of these stations in the United States looking for quality music to broadcast — in all genres. That doesn’t mean they will play everything that lands on their desk, but as a rule, college radio stations are open to giving new songs a chance if they believe they will appeal to their audience. We list stations, detailed up-to-date information, as well as submission and genre information. Radio play means more CD, digital media sales and gigs…this guide will help you to locate radio stations looking to play YOUR music. Music industry contacts including music supervisors, movie studios and more. |We are rapidly building this comprehensive list of music supervisors, movie and TV studios looking for music. We’ve put together a list of Music Supervisors on Twitter so you can stay connected and see who has opportunities for you to submit your music. Over 300 resources, tutorials, associations, directories for Independent Musicians. Post your Press Releases for free with a feed to our twitter, Facebook, Indie Artists Alliance on LinkedIn pages along with a link in our Music newsletter. If you are an Independent Musician, it’s important to put your agreements in writing. Except for using these contracts and agreements as part of your music business, no part of this website may be copied or distributed without the express written permission of Media Media Inc. dba Indie Artists Alliance.There are no warranties, express or implied for the included contracts. These documents need to be modified for each legal and/or business situation. These agreements and contracts should not be a substitute for legal advice and the use of these agreements should be discussed with an attorney in your state. By purchasing and using these agreements you acknowledge that you have read this disclaimer and agree to its terms and acknowledge. You further acknowledge that Media Media Inc. and Independent Artists Alliance (Indie Artists Alliance) has not advised you that these agreements pertain to your specific situation and you waive any warranty, express or implied in relationship to the use of these agreements. If you do not agree with these terms and conditions, do not purchase and/or use these agreements. We make every effort to make all information as accurate and complete as possible. It is in your best interest to confirm the mailing addresses/contact information/etc with their websites. Refunds – We do not offer refunds. All recurring billing is through paypal and you can cancel at any time. You are responsible for cancelling prior to the next billing cycle.